Provide comfort for the family of Donald Lane with a meaningful gesture of sympathy. 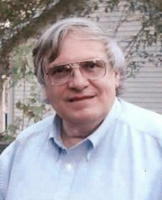 Donald C. Lane, 68. Of North Tonawanda at the VA Medical Center in Buffalo. Born in Niagara Falls, NY he was the son of the late Hazel and James Lane. He had resided in North Tonawanda for 45 years. Don graduated from Bishop Duffy High School, NCCC and Niagara University with a Bachelor Degree in Accounting. Beloved husband of Kathy (Korthals) Lane and loving father of Donald J. Lane. Surviving are five sisters-in-law and 21 nieces and nephews. He was a veteran of the Vietnam War serving in B Troop, 1/1 Cav Americale, during Operation Lamson 719 where he was wounded and received a Purple Heart, Army Commendation and Bronze Star Medals. A lifelong friendship with Tom Zedick began in the military and it was Tom who introduced him to RVing. Key West was his adopted winter home and he and his wife spent 11 years there. He enjoyed the vibe of Key West, fish fries, fishing, and morning coffee with fellow veterans. Don valued and loved life and was always willing to lend an ear to a friend. He volunteered for many years at his son’s grade school and NTNLL. Due to numerous health issues, he left BFI and was treated through the years at the VA Medical Center in Buffalo where he passed on January 31, 2019. He was a kind, loving person and his strength and love will be missed by all who knew him. Don will be interred at Arlington National Cemetery. Provide comfort for the family of Donald Craig Lane by sending flowers.